Four of South Africa’s brightest business minds have won the local leg of an international business competition, showing the world that the country has no shortage of entrepreneurial talent. The Chartered Institute of Management Accountants (CIMA) Global Business Challenge (GBC) is an international business competition, designed for students around the world to showcase their business management skills and experience what it is like to be a business leader. 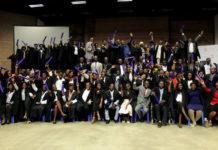 The team of students from Wits University will travel to Sri Lanka in July to represent the country against 22 other teams from Ghana, Zambia, Russia, Australia, China, Bangladesh, Ireland and New Zealand. The competition runs in three stages, with teams first competing within their country or region and then proceeding to the global stages for the championship title. The Wits team’s win comes at a time when government policies continue to target job creation, fight youth unemployment, poverty and inequality. Last week the Oxford Business Group released The Report: South Africa 2012, a study about the country’s standing as an investment destination. The study notes that South Africa’s unemployment rate at 23.9%, and says it increases to above 30% when discouraged job seekers are included. The members of Team Monomatapa – Panache Chigumadzi, Simbarashe Nyatsambo, Khetinkosi Dlamini and Sizwe Nxumalo – believe that entrepreneurship is one way to address these challenges. 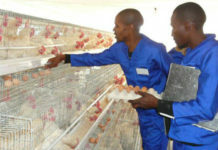 Team leader Chigumadzi says more South Africans should start their own small businesses. “People can’t just sit around and wait for jobs,” she says. 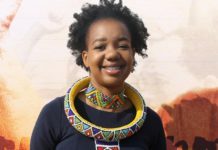 Although factors such as rigid requirements to access finance and business know-how deter young people from starting businesses, she believes that the South African business environment is the ideal platform for young entrepreneurs to polish their skills. “What makes South Africans different from developed economy entrepreneurs is our exposure to a dual economy,” she reasons. According to Encyclopedia of the Nations, South Africa has what is referred to as a dual economy – one comparable to industrialised countries and another similar to developing nations. “Our entrepreneurs understand these intricacies, which makes it easier for us to work in frontier markets,” Chigumadzi says. New entrepreneurs should think beyond traditional markets, says Chigumadzi. 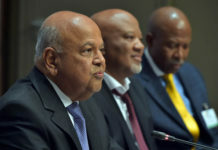 South Africa’s membership of the BRICS group of developing economies will stimulate more trade, but other countries in Africa such as Rwanda and Ethiopia also offer many opportunities for business. “These are all growing and dynamic markets,” she says. Stereotypes exist about doing business in Africa, she says, but many are not accurate. Many countries in Africa have a lot to offer – according to the World Bank Rwanda is the most business and investment friendly destination in East Africa. 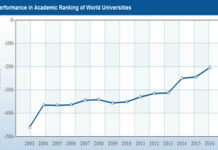 The report ranks the country at position 45 globally, having moved up 13 places from the position it held in 2010. The World Bank Doing Business Report is considered a reliable indicator of where foreign businesses should go when seeking investment opportunities, sound judicial systems and corruption-free regimes. 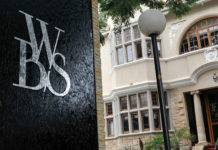 Samantha Louis, CIMA’s Africa regional director, speaks highly of the Wits team. “If this is the quality of future business leaders in South Africa, I am very hopeful for a positive and dynamic future for our country,’ Louis says. Most of the team members are finishing off their B.Com-related degrees in accounting science, economics, management and finances, and all of them want to get into business. Chigumadzi says what gave their team a competitive advantage in the challenge was its diversity. Louis says the team’s achievement is even more noteworthy as they made it through to the finals without the support of a mentor, while still keeping up with their studies. The teams are required to develop relevant recommendations and solutions to a fictitious business scenario, putting their skills and knowledge in all areas of business management to the test. This year’s case featured a television content production company. They had to prepare a 3 000 word report based on the case study, give an oral presentation and participate in a gruelling question and answer session with the judges at the end of each presentation. “I think the question and answer session clinched the deal for us because we really knew our work and gave lots of practical solutions,” she says. The competition is an ideal opportunity to meet some of the world’s top employers who are sponsoring or judging the competition, get advice from business leaders and get a chance to identify career opportunities. 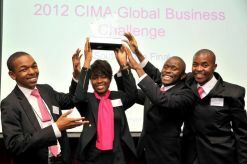 The team of students from Wits University will travel to Sri Lanka in July to represent the country in the global finals of the Chartered Institute of Management Accountants (CIMA) Global Business Challenge (GBC) to represent the country against 22 other teams from Ghana, Zambia, Russia, Australia, China, Bangladesh, Ireland and New Zealand. The competition is held annually and is designed for students around the world to showcase their business management skills and experience what it is like to be a business leader. It is run in three stages, with teams first competing within their country or region and then proceeding to the global stages for the championship title. The members of Team Monomatapa – Panache Chigumadzi, Simbarashe Nyatsamboy, Khetinkosi Dlamini and Sizwe Nxumalo – believe that entrepreneurship is one way to address these challenges. Most of the team members are finishing off their B.Com-related degrees in accounting science; economics, management and finances, and all of them want to get into business. Next articleYoung people: own your destiny!